. استمتع بالخدمات الراقية والضيافة التي لا مثيل لها بهذا الفندق في كيرنز. تتضمن الميزات الرئيسية في هذا الفندق: مكتب الاستقبال على مدار الساعة, مرافق مخصصة لذوي الاحتياجات الخاصة, تخزين الأمتعة, واي فاي في المناطق العامة, صف السيارات. لقد جهزت هذه الإقامة الفندقية بعناية فائقة لتوفر مستوى عالي من الراحة. في بعض الغرف يجد النزيل اتصال لاسلكي بالإنترنت, غرف لغير المدخنين, مكيف هواء, تدفئة, مكتب. يقدم الفندق مجموعة رائعة من الخدمات كمثل حمام سباحة خارجي, سبا, ملعب للأطفال, مسبح (للأطفال), ملعب تنس، لجعل إقامتك تجربة لا تنسى. إن منتجع كيرنز كولونيال كلوب هو مكان مثالي للمسافرين الذين يتطلعون إلى الراحة والاستجمام في كيرنز. We booked a studio apartment but it was just the same as a hotel room, there was no microwave no sink and it was a basic room. We were very disappointed and complained to reception. They gave us the Executive Suite which was absolute luxury! We had a courtyard and exclusive entrance to the swimming pool, a massive bedroom with King size bed, a spa bath in a huge bathroom and separate toilet, a lounge and dining table and chairs. We had a great time staying there for two nights. Dear Ronald, Please do accept our sincere apologies for the mentioned shortcomings. We are delighted you enjoyed your stay with us here at the Colonial Club. 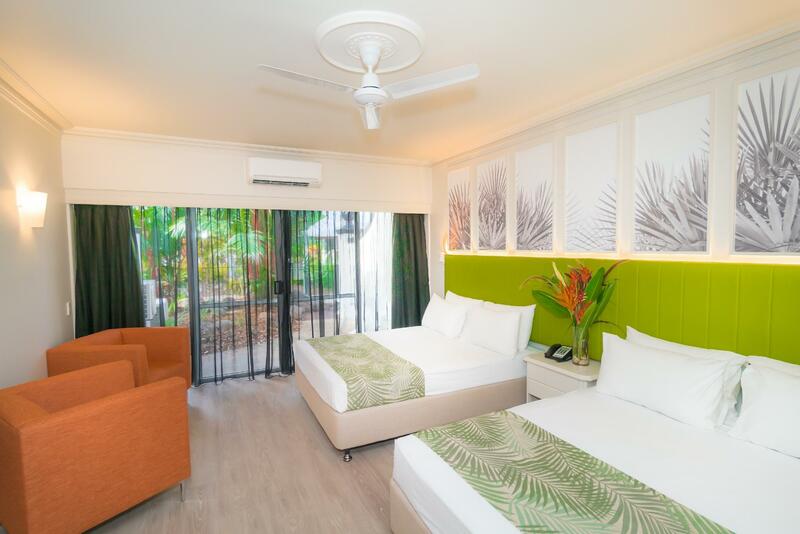 We look forward to welcoming you back again in the near future and hope you will have a bit more time to enjoy the facilities and service of Cairns Colonial Club Resort. Dear Ty, your constructive feedback is duly noted and will be shared with our higher management team for review. Dear Jennifer, We are delighted you enjoyed your stay with us here at the Colonial Club. 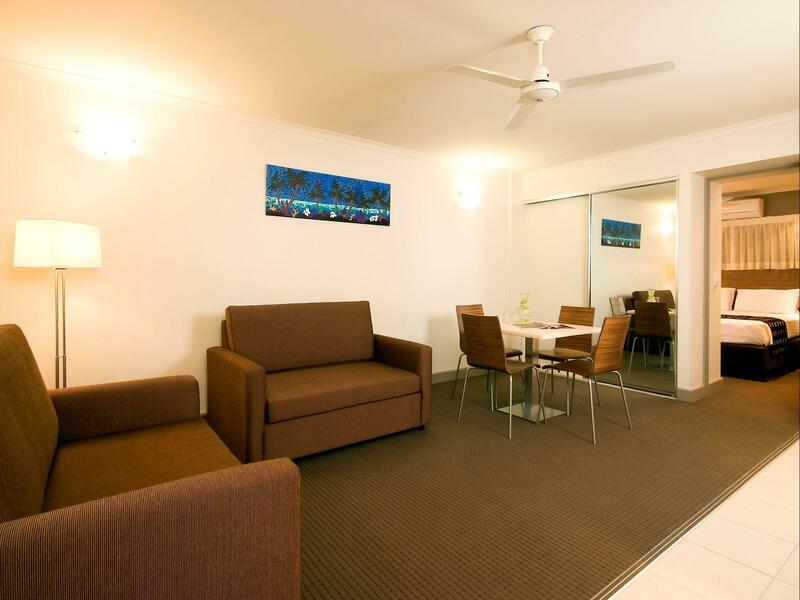 We look forward to welcoming you back again in the near future and hope you will have a bit more time to enjoy the facilities and service of Cairns Colonial Club Resort. We took our grand daughter here for two nights, was no where near long enough. The resort was very clean. Staff excellent. 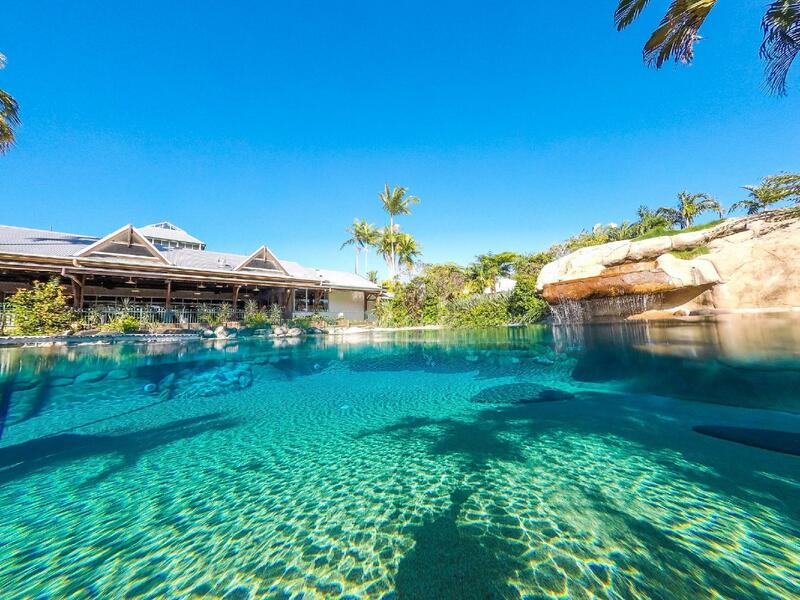 Beach style pool. Games room. Playground. Good value for money. We did not eat here but next time we come back we will be staying longer and will try the restaurant. We enjoyed our stay at the Cairns Colonial Club Resort. Our room was right nect to the laundary and there were a little bit of smell coming out of the drainage which we had to leave the windows open during our stay. Our room was clean and comfortable. Good water supply and flow in the shower. A few minor maintenance issues, eg tap washers need replacing. We recommend this place to others. Friendly helpful staff. Dear Walter, We are delighted you enjoyed your stay with us here at the Colonial Club. We look forward to welcoming you back again in the near future and hope you will have a bit more time to enjoy the facilities and service of Cairns Colonial Club Resort. Value for money is some what reasonable, although breakfast was slightly disappointing. The shower had black/green mould and the beds ultra firm. Otherwise it is very convenient if you are leaving to the airport. Staff were wonderful and welcoming. Dear Brittney, Thank you for taking the time to share your experience with us. 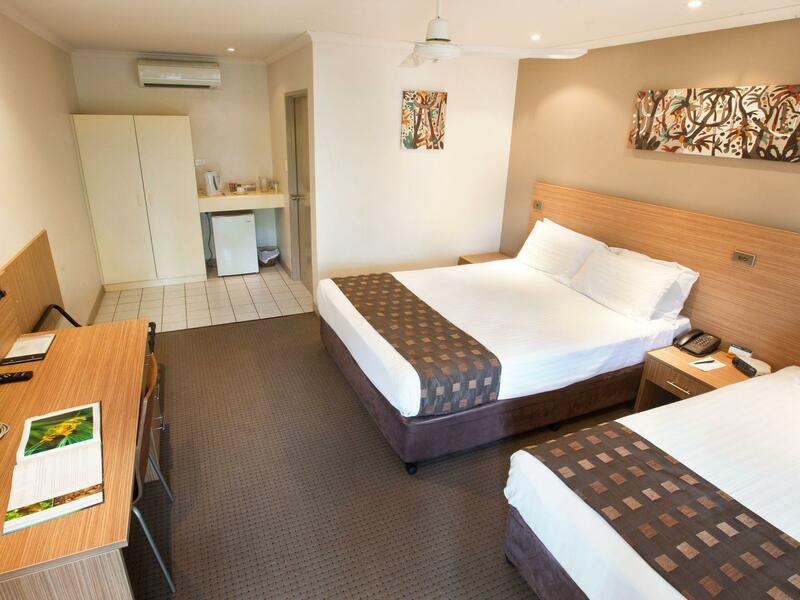 We are delighted you chose to stay at Cairns Colonial Club on your recent travels! Your kind praises about our friendly Guest Services team are appreciated and will be shared with the team, it is feedback such as yours that inspires our staff to strive for even higher levels of customer service each and every stay. Please do accept our sincere apologies for the mentioned shortcomings, we are proud to let our valued guests know we are soon about to complete a full refurbishment of our bedrooms at our property. Rest assured your feedback has been shared with our higher management team. Brittney, we do look forward to welcoming you back to Cairns Colonial Club in the near future. Dear Brittney, We are delighted you enjoyed your stay with us here at the Colonial Club. 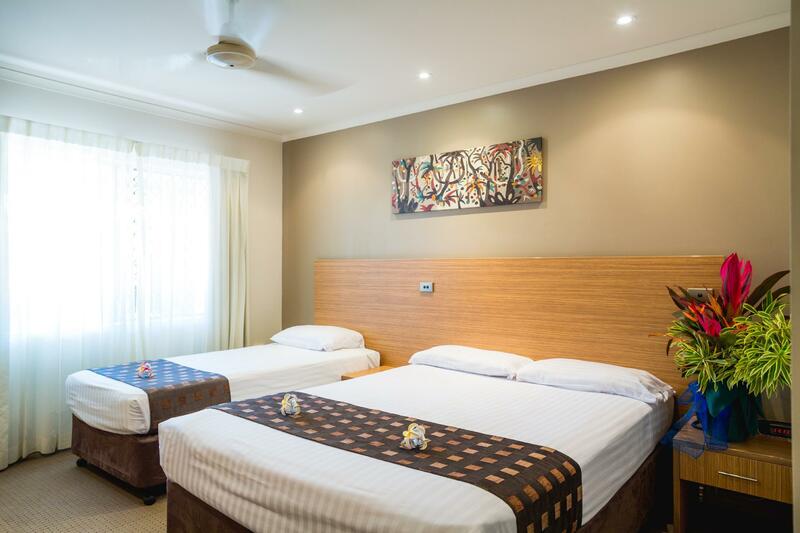 We look forward to welcoming you back again in the near future and hope you will have a bit more time to enjoy the facilities and service of Cairns Colonial Club Resort. Bus loads of Asians ruined the stay. Main foyer was chaotic with them and even when u politely ask them to move they ignore u. At breakfast it was like they had never seen food before, they would push in, steal the toast u had just cooked and were rude. This resort is definitely set up for them. The place needs a make over especially the resort rooms, stained dirty carpet, old bathroom vanity, stained dirty shower tiles. I would not stay there again. Dear Manu, Please do accept our sincere apologies for the mentioned shortcomings. Your valued feedback is duly noted and will be shared with our team for review. Manu, we do look forward to welcoming you back to Colonial Club in the near future. Great stay. Staff are amazing. Nice rooms. Dear Ronald, We are delighted you enjoyed your stay with us here at the Colonial Club. We look forward to welcoming you back again in the near future and hope you will have a bit more time to enjoy the facilities and service of Cairns Colonial Club Resort. Had to switch rooms but staff were really helpful and fast. Location is bit far, shuttle bus helps. Dear Aaron, We are delighted you enjoyed your stay with us here at the Colonial Club. We look forward to welcoming you back again in the near future and hope you will have a bit more time to enjoy the facilities and service of Cairns Colonial Club Resort. Nothing wrong with the accommodation, we were just unlucky to be near a very loud group of Asian guests. The noise didnt stop until at least 2am. More security around the resort would have been nice to tell these rude people to be quite. Staff very friendly, arrived to early for room, thankfully they have a A/C room with shower and toilet for guest to use. Older complex with great pool and large dining room. Couple of large tour groups in. Have stayed here back in the 90's and early 2000's. As much as I love this place and it has special memories for me - it wasn't the same any more. Pool bar was never open for happy hour when I went and found the bathroom to be a bit tired. This hotel seems to cater more to the Chinese market now. The staff were lovely and very helpful and I did enjoy my stay none the less! My sister and I needed a room for an overnight visit to Cairns and this was suitable. Wouldn't want to stay more than 1 or 2 nights here though. Reception was a little understaffed for both check in and out. Even though you get free wifi there is no reception at all..we were struggling so much for that. .and walking ways to the rooms not that clean and very smelly. Luckily we were only there for one night. facilities were great but was disappointed there was nowhere to sit apart from our room. There were two people in the room and only one chair. Clarity on it being just a room would have been great I was under the impression a garden view would have been a small area overlooking the gardens with a table and chairs. If I'd known there was nowhere to sit I would have booked another room. All in all we were happy with the room for somewhere to sleep.